When carried out by hand, or using equipment that is not designed specifically for the task, these processes can be time consuming. Besides this drawback, it also poses greater risks to health and safety. Cutting of products and prestressed wires using angle grinders or plasma cutters creates a dusty and hazardous working environment. Recently, the risks around dust, and crystalline silica in particular, have come under the spotlight. Demoulding and handling of products using other plant, such as forklift trucks and cranes, ties them up when they could be used for other processes within the factory. The implications of incorrect handling can be damage to products or injury to factory operatives. 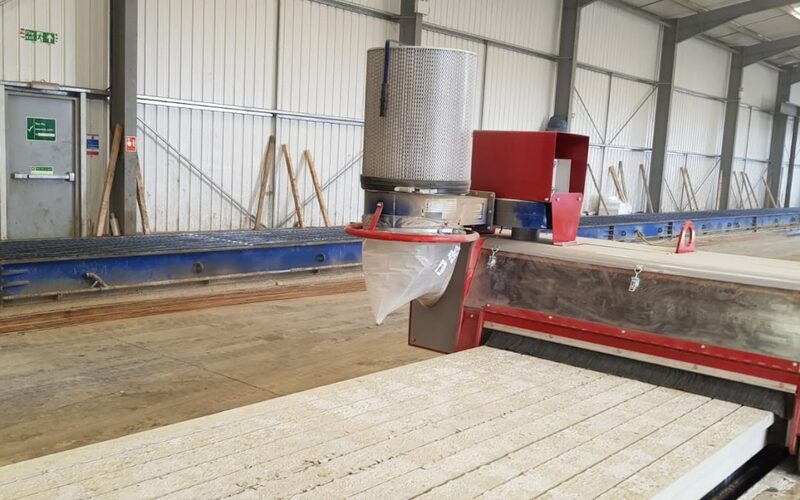 At ROCO, we’ve used decades of experience and feedback from precast concrete producers to design and manufacture bespoke machinery, solving many of the problems mentioned above. We know that no two precast factories are the same. Therefore, every machine we build is tailored to meet the production requirements of the customer. This consultation and design process is fundamental to how we work. Most recently, we’ve been developing a range of machinery for the production of prestressed T-beams. This includes a machine for lifting finished products from the moulds, and a saw for cutting prestress wires flush to the beams. Using our machines, precast concrete producers are able to reap a number of benefits. Not only do they reduce the cost of manufacture, and achieve a quick payback on investment, they provide a better working environment for factory operatives, and a higher standard of finished product to end users. In addition to the machines featured, we can provide a range of solutions perfectly matched to each stage of the production cycle. From simple, manually operated equipment, right through to battery powered and automated machines, each ROCO product is robust, reliable and low-maintenance. For more information on our range of machines, please visit our Products & Services section. If you’re unsure about their application within your production environment, please get in touch. We have a track record of successfully delivering innovative and bespoke solutions to concrete producers around the world.